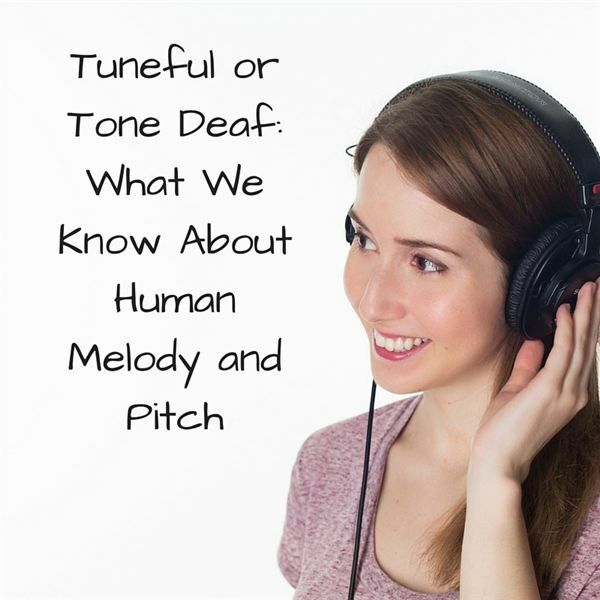 Music Education Lessons: How Do Melody and Pitch Relate to Hearing? Children in the 1700s played a game called “Blind and Bell.” Six players sit in a circle and someone is blindfolded and stands in the center. A bell is passed around. Someone rings the bell. The blindfolded person must guess who is holding the bell. Sounds easy, but it’s not if you have hearing limitations. So why is hearing connected so inherently to melody and pitch? One can only use composer Ludwig von Beethoven as an example. At age 31, he began hearing ringing in his ears. Any loud noise would cause him pain. To compensate for his hearing loss he had the legs on his fortepiano removed so that he could feel the vibrations of the strings with his feet as the instrument sat on the floor. It helped him to picture the music in his head and get it down on paper. He found ways to deal with his disability. Beethoven used an ear trumpet. He had several kinds all made from metal. The ear trumpet—just as an ear would—collects sound waves and funnels them into the ear canal. The sound waves make the eardrum vibrate and this vibration is passed to the middle ear, which contains bones that amplify and conduct the vibrations to the inner ear where it dead-ends on the cochlea. The cochlea is a small tube that looks very much like a snail’s shell. It contains small hairs and hair cells that move when vibrations reach them. This translates into an electrical signal that the auditory nerves send to the brain. And, of course, that reads as music. Perhaps one of the reasons that Alexander Graham Bell did so well with discovering the telephone was because he and his father were speech teachers. They taught elocution—speaking well in public—and they also helped deaf people learn to speak. And Alexander’s own mother was nearly deaf. When people are born deaf, it is hard for them to speak because they have never heard sounds. You need to use your lips, tongue, teeth and throat to make different sounds. Alexander created a voice box from the larynx of a dead sheep, and once hid it to see what neighbors would do when they heard the box—it sounded like a small child calling for its mother! Eventually he and Thomas Sanders worked with electrical equipment to send many coded messages over wire; the jabber eventually sounded like the human voice through telegraph wires. After months of experiments, he found a way to convert the sound into electrical impulses to send over a copper wire. Hence, the telephone. Ever hear of the song Good Vibrations? Well, sounds that we hear are made up of vibrations—a movement that repeats itself. Everything that makes noise vibrates, such as a drumhead, your voice, a bell, hitting a water glass with a spoon, all vibrating. Slow vibrations (waves) make low sounds, and fast ones make high sounds. If you touch your throat when you sing both high and low sounds, you will discover something. Your throat will vibrate greatly when you sing low and much less when you sing high. Check it out for yourself. Interesting factoid: vibrations move through the air so when the air is heated as with lightning, the giant electrical spark creates a boom sound, hello, thunder. When you breathe, air passes down your windpipe and into the lungs in your chest. Beneath the lung is a diaphragm, a dome-shaped muscle whose movements alter the air pressure in the lungs, allowing them to take in and release currents of air again. The amount of air moved out has a relation to what types of tones you can make. Sometimes notes in a higher rang require more air support in order to reach them adequately. Peoples’ ability to perceive pitch differences among tones played simultaneously is related to how sensitive they are to the rhythm, or the timed fluctuations of sound waves. Wang is excited to have a monkey primate relative to humans to study further. “Now we can explore questions about what goes wrong in people who are tone deaf and whether perfect pitch is an inherited or learned trait,” says Wang. People with a condition called amusia find it painful to listen to music. Their brain is hardwired in such a way that the auditory cortex—a region of the brain where sounds are interpreted and that help us to recognize music is affected in some way. An inherited condition, amusia is believed to run in families. Any song sounds the same to them, annoying. You’ve heard them, people who cannot sing on key. Even worse, when they love to sing—maybe in church or the shower, it’s not good. Unfortunately, they cannot pick out one pitch from the other. And many of them think they are good singers. American Idol often plays “out-takes” of tone-deaf people for fun, but they just don’t seem to care because they don’t hear sounds the way they should. Likewise, they probably don’t hear music the same as someone who isn’t tone deaf. Tone-deaf people have less density of white matter—the connecting nerve fibers—in their brains. This weaker connection in the right frontal lobe has been witnessed with brain imaging. This condition probably has a direct relation as to why some people don’t recognize tones so well and often sing off-key. Scientists had been playing around with robots and they are teaching each other to sing. The Interdisciplinary Centre for Computer Music Research has been able to teach robots to perform Happy Birthday for the Science Museum’s 100th birthday. It’s not great but pretty interesting. This condition, also called rhythm deafness was documented rather recently, in 2011. Researchers found a person who couldn’t pick up the beat in the music. They could never dance because they might not be in sync with the song. Even though they may tell the difference between songs, there is an issue with flawed connections in the brain. Do you know there is a name for when you get a song in your head and you hear it over and over—could be for minutes or hours even? It’s called an “earworm.” This kind of makes sense, because these songs have repetitive lyrics or phrases and are known as being stickier. A British study taken in 2011 found that an earworm often comes to mind when you are doing a mindless activity like washing dishes or waiting for an elevator. Venezia, Mike. Alexander Graham Bell: Setting the Tone for Communications. New York: Scholastic Children’s Press, 2009. Book. Sabbeth, Alex. Rubber-Band Banjos and a Java Jive Bass: Projects & Activities on the Science of Music & Sound. New York: John Wiley & Sons, 1997. Book. Birmingham, Maria. Tastes Like Music: 12 Quirks of the Brain and Body. Berkeley, CA, 2014. Book. Bauer, Helen. Beethoven for Kids: His Life and Music. Chicago, 2011. Book.